The God I Don’t Understand 7: How does the Cross work? My apologies to those waiting for the next chapter in Wright’s book. Some other writing assignments require me to put down my fun books and pick up some work-related reading these days. But enough of my excuses… In chapter 7 Chris Wright admits that one answer to the question, “How did the cross achieve salvation for us?” is simple and from Scripture: “Because it did.” But he like many others would rather not stop there. And he contends the bible doesn’t stop there either. He reminds the reader that evangelical interpreters of the Bible regard the most helpful metaphor of the cross as judicial–substitutionary atonement. There are other metaphors used in the bible to explain the “how” but 1 Cor 15:3 underlines and emphasizes that Christ’s death on the cross was sacrificial and substitutionary. Here Wright brings up the controversy surrounding “penal substitution” and the grounds by which some reject this forensic focus to substitutionary atonement. Of the 7 reasons he lists, the primary ones (in my eyes) are the sense that penal substitution focuses too much on guilt, portrays God as mechanistic or always angry, and emphasizes the only way to deal with sin is with violence. Wright believes the arguments for rejecting penal substitution would be good if in fact evangelicals held them. But he fears that the arguments against the penal metaphor are caricatures. From this point he looks at how the bible paints God’s love and anger. His anger and love must be, he contends, taken together as part of a whole, rather than having one negate the other. The two expressions are not contrary to each other any more than we may be angry with a loved one for bad behavior and yet still love them at the same time. He suggests the Cross satisfies both God’s love and anger. Israel were not to feel ashamed in the presence of other nations (36:15), but they were to feel ashamed in the presence of their own memories before God (36:31-32). Similarly, there is a proper sense in which the believer may rightly hold up her head in company. While the content of this chapter seems a bit more about confronting a wrong he sees in the penal substitution debate than about answering how the cross works, nonetheless I find his writing about guilt and shame quite helpful here–especially how he distinguishes the kinds and sources of shame. I think it might be helpful for those who trust in Jesus but who struggle with shame to consider for a moment what their shame drives them to do. To hide? To be grateful for God’s restorative work? Next week, we’ll look at his final chapter on the cross. In this chapter he takes up the why and the what questions. Each of these reveal that God was doing for us what we could not do for ourselves. What is not a metaphor, says Wright, is the word “substitution.” That is, he says, is what he actually did. God accepts the penalty which belonged to us alone. This chapter, as you may see, has less discussion of mystery and more discussion of the “what” and the “why.” Next chapter will take on some more of the mystery by exploring the “how” of the cross–how it could have such cosmic impact. The God I Don’t Understand 6: The Canaanites? After a long break from blogging, I return to Chris Wright’s book, “The God I Don’t Understand.” We are now at chapter 5 where he explores whether there might be any possible satisfactory solution to the extermination of the Canaanites–something that might make the conquest by Israel more acceptable. 1. The framework of the OT story. In this section of the book he explores some of the context of the Ancient Near East (ANE). He notes that the conquest isn’t considered a holy war, but the war of Yahweh. Further, Israel was not to profit from it but that all things were to be for the Lord. He speaks of the concept of “herem” (ban of plunder for personal gain) and that the total destruction of property and civilians was a common concept in the ANE. But, he also says that reports of total destruction were commonly rhetorical exaggeration and points to places where the Bible reports such total destruction (e.g., Jericho) but records individuals being saved. He suggests this is a literary convention rather than falsehoods in writing. Here Wright takes a detour. He considers whether God accommodates himself and his will to “fallen reality within the historical earthing of his revealing and redeeming purpose.” (p. 88) God allows divorce and even provides a way for it but doesn’t sanction it. He has a creation ideal, says Wright but a legislative concession to our sinfulness 9p. 89). Then, might God use this kind of war because of the nature of the ANE but not have it as his ideal? Wright does not offer an opinion. Returning to the context of the OT story, he reminds the reader that even though the conquest is bloody, it is limited to a single generation of the Canannites. So, we should not view God as “constantly on the warpath” (p. 90). 2. The framework of God’s sovereign justice. God’s destruction of any peoples is always put into the light of judgment against wickedness. This goes for gentiles and Jews. The conquest is not seen as a genocide by Wright since it is not spoken of in ethnic terms but in response to wickedness. Here Wright points to Gen 15:16 where the Canaanite sin had not reached its full measure in the time of Abraham and so God withheld his judgment at that time. He also points to NT passages depicting both conquest and later destructions of Israel as God’s punishment of wickedness. While punishment doesn’t make the acts done any easier to swallow, for Wright it does change the “moral context of violence.” (p. 93) There is a difference, he says, between arbitrary violence and intentional punishment of sin. Finally, he ends this 2nd framework by reminding readers that Israel’s victories didn’t make them more righteous. In fact God uses unjust populations to his work (as in Habakkuk) and also warns and then delivers on that warning that Israel will fall if it fails to worship only Him. 3. The framework of God’s plan of salvation. Wright wants to look at the conquest in light of the whole story of salvation. He looks first to the promises to Abraham, which include blessings to all nations. God may use violence to do complete his plan but he condemns it when it is used for wicked reasons. Wright here points to the ultimate destruction of war in the new creation and points out that David was not allowed to build the new temple due to his warring nature. Lest we see God as capricious in his choosing who to bless and who to judge, Wright wants the reader to note that conversion and ways to avoid destruction were offered to some of the Canaanites. Even the hated Philistines will have a remnant in God (Zech 9:7). In the end of this chapter, Wright attempts to make a personal reflection and speaks of the image of the cross as a means to view the conquest. The God I don’t Understand 5: OT violence? And he wants to apply this to the treatment of the Canaanites. We’ll look here at his chapter 4 which outlines three popular (but in his mind wrong) attempts to get around the interpretation of a capricious genocidal God. 1. OT God vs. NT God. That is, some try to ignore the problems of the OT by claiming that the NT sets to rights the OT. Wright says that behind this assumption is that the OT God is all “fire and brimstone, war and vengeance, blood and punishment. The so-called God of the New Testament is much nicer altogether.” (77). To bolster his argument, Wright examines a number of OT passages (e.g., Ex. 34:6-7 [which he says is the “most pervasive definitions of the character of God in the Bible…Love is for thousands; punishment is for thre and four.”], Ps. 103:8-14, Jer. 31:3, 20, Eze 33:11, Deut 7, 10). Then he examines Jesus as the most frequent discussant of hell, the day of judgment, and then cites John Wenham’s observation that while the OT focuses on temporal punishment, the NT focuses on eternal punishments. Finally, he addresses the ways the NT writers refer to the OT. They refer to the punishment of Sodom and of Korah. They refer to other horrors and do not re-interpret (though they do include Samson in the lessons of faith). And so, he concludes that you cannot and should not put the NT against the OT to resolve the problem of violence. 3. The conquest passages are allegory for the purpose of getting a “spiritual lesson” from them. Wright doesn’t deny the value of spiritualizing texts. But, he concludes that the “spiritual use of the Old Testament narratives is secondary and derivative. Their primary form is simply historical narrative.” (p. 84). No one (and I imagine native Palestinians would be included) believes that the stories of the OT are intended as fictional accounts, even if numbers of people killed are somewhat symbolic or estimates. So, if these ways of thinking about the conquest are not helpful, what is? That will be the content of chapter five. We come to the 3rd chapter of Christopher Wright’s book, The God I don’t Understand(2008, IVP). Poking a little fun at theologians he tells us that while they want to explain evil, God intends and will destroy it. He reminds us that in the 1st chapter he called us to accept the mystery of evil and in the 2nd to protest and lament it. In this chapter he calls us to rejoice over evil’s final destruction. Wright wants us to look at 3 ways the cross helps us understand God’s response to evil. “They are: the utter ‘evilness’ of evil; the utter goodness of God; and the utter sovereignty of God” (p. 57). The cross holds these 3 things together and Wright argues through the chapter how each of these things must be part of our understanding of how God defeats evil. 2. God is utterly good. And his sovereignty over evil people and his use of their acts of evil does not stain him either. 3. God is sovereign and whether or not you try to distinguish between God’s permissive will and his declarative will, he is sovereign over all things. Wright then recounts the Joseph story to show these three truths. Evil is evil in the life of Joseph. God is good to him and the whole area. God is sovereign, even over the evil behavior of his brothers. Finally, he finishes the chapter with an exploration of Revelation as it illustrates the centrality of the Cross in the defeat of evil. “Christ’s power to control these evil forces [the horsemen in Revelation] is the same power as the power he exercised on the cross.” (p. 67). And so, Rev. 21 tells us of the evils that will be banished (sea, death, pain, sin, darkness, shame, strife, curse, etc.). This is a short but nice chapter on the power of the cross over evil–how God brings evil and righteousness together in one act in order to destroy all evil. Whenever human goodness and evil combine, the result is impurity. But God’s weakness/innocence on the cross results in the destruction of all that is evil. From here we’ll move to questions about all the killing in the OT, of the destruction of the Canaanites to give Israel a land. How are we to understand that? Natural disasters, says Wright, perplex us because these lack “moral or rational explanation.” While some natural disasters may have human agency as partial cause others do not. Wright cites the disasters brought on by movements of tectonic plates. Why? How can such things happen when God is supposed to be in charge? Are these disasters God’s judgment? A result of the curse? Wright suggests that while both have elements of biblical truth,”both seem to me dangerously misleading when pressed into service as full explanations.” (p. 45). If you take these events to be the result of the curse, then if you follow the cause back far enough, you have to level the charge at human sin. Is this fair, Wright wonders. He finds this explanation “improbable” for several reasons. First, he disagrees that Gen 3:17 is a curse on the whole planet. Rather it describes the struggle relationship humans have with earth and the hardship encountered in trying to make a living from it. He sees it as a functional curse. If you take the curse of the ground as curse of the whole planet then you have to believe that our planet behaved differently before the fall. Wright doesn’t think so. But what about these disasters being God’s judgment on a people? While all humans are judged to have fallen short are the victims of natural disasters worse sinners than those who live where no disaster has happened? This illogic happens, Wright says, because “we so easily take some aspects of what the Bible teaches, then invert the logic, and apply it quite wrongly.” (ibid) Yes, God sometimes uses natural disasters to punish or judge. The biblical account give a few examples. But Wright tells us that when we attempt to speak for God, to speak authoritatively, we err. He gives examples from Job, John 9 and Luke 13 that counter the believe that disaster always equals specific judgment. Also, while these disasters do cause some of us to reconsider life and to repent of sin, Wright believes it is “grotesque” to suggest that God did this just to warn us. Wright believes that there isn’t any one answer or explanation for the cause of natural disasters. Science can tell us their natural causes, and they are awesome enough. This is the achievement, but also the limit, of scientific explanation of “what really happened”. But neither science nor faith can give a deeper or meaningful reason or a purpose for a disaster. Thus we are left with the agony of baffled grief and protest. Wright finds in his bible that the answer is NO. For the rest of the chapter he explores Job, Jeremiah, Lamentations, and Psalms and finds that “those who loved and trusted him most” (and not God’s enemies) were frequently angry, questioning, lamenting, and protesting God’s seeming inaction. Wright tells us that there are more lament psalms than there are praise psalms and yet he finds the church unable to lament in corporate worship. Why? Why do we turn to other explanations (judgment, curse, God’s sovereignty, Rom 8:28, etc.) instead of engaging in public and corporate worship characterized by lament and despair? We are to “file our protests before God….within a framework of faith that has hope and a future built into it. For the present state of creation is not its final state, according to the Bible.” (p. 54) But for praise to have “integrity”, we must be able to pour out our “true feelings before God”. But if that were all [that we accept the mystery of evil that we cannot understand and that we lament and protest it to God], life would be bleak and depressing in the extreme, and faith would be nothing but gritting our teeth in the face of the unexplained and unrelieved suffering. Thankfully the Bible has a lot more to say to lift our hearts with hope and certainty. That is where we are headed in chapter 3. 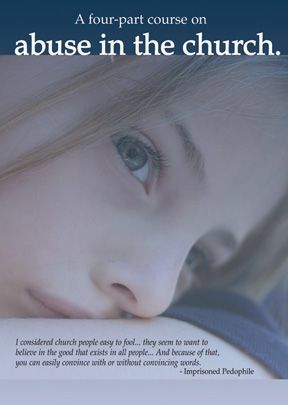 Chapter one of Chris Wright’s The God I don’t Understand (Zondervan, 2008) is the first chapter of his section entitled: “What about evil and suffering?” He reminds us that everyone struggles with the existence of evil in the world but that it is a particular struggle for the Christian given our view of a good and sovereign God. So chapter one explores the mystery of evil. The Bible, he says, “compells us to accept the mystery of evil” (p. 29) in terms of its origin since the Bible does not explain its ultimate origin. Well, excuse me, but if we’re talking here about who allows what, let point out that thousands of children are dying every minute in your world of preventable diseases that you have the means (but obviously not the will) to stop. How can you allow that? In summary, Wright reminds us that we cannot understand the presence of evil. This, he says, is a good thing. Instead Wright tells us that we are to grieve, weep, lament, protests, scream in pain and anger and cry out, “How long …” And he ends the chapter with the bible’s answer, “That’s OK. Go right ahead. And here are some words you may like to use when you feel that way.” (p. 43) What Wright doesn’t say is that our Savior uses these same words to communicate to the father.